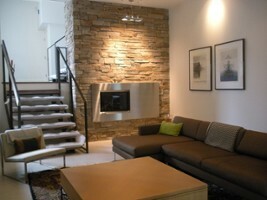 Another Stainless steel Fireplace surround. 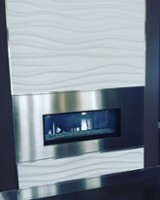 Custom Stainless steel fireplace. 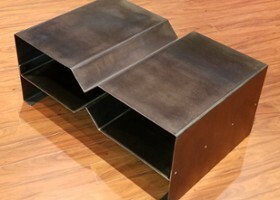 Wood and steel work by Another Dimension. 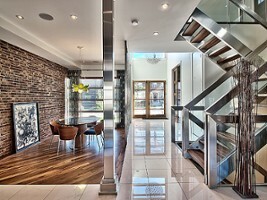 Custom Swivel Bar stools we did for a show home. 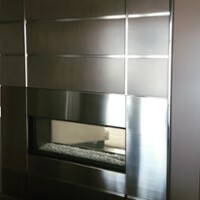 Custom stainless steel fireplace surround. 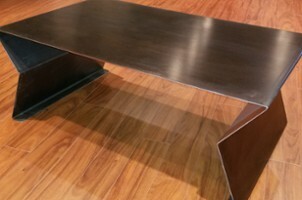 Rock meets steel. 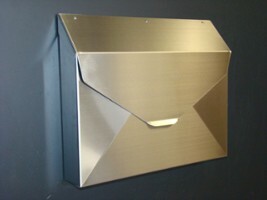 Envelope Style stainless steel mailbox. 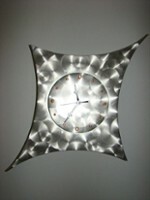 We sell a ton of these! 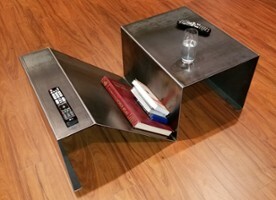 Just a little homework project. 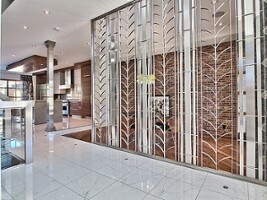 Custom Stainless steel room partition. 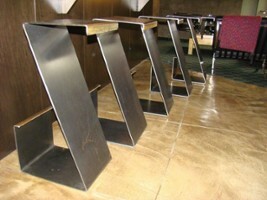 Custom Blackened steel "Zig Zag" Stools. 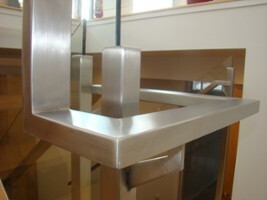 Close up of a transition on a stainless steel railing. 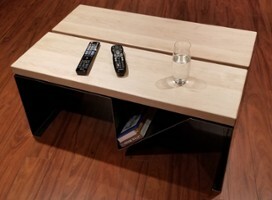 The complete package by Another Dimension. 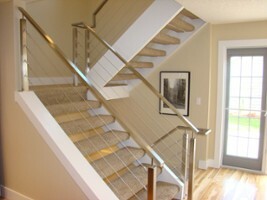 Stairs, treads and Railings. 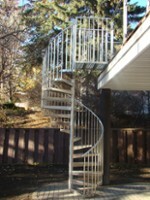 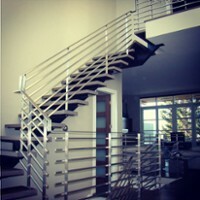 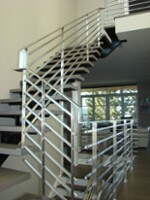 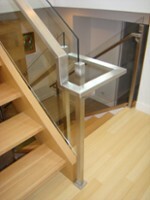 Stainless steel Stairs, glass and railings all done by Another Dimension. 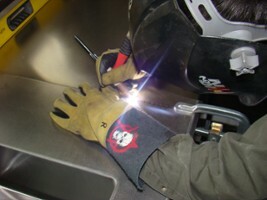 It takes a steady hand and years of experience to polish out the welds. 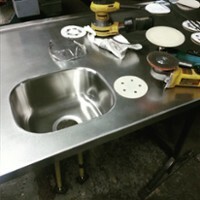 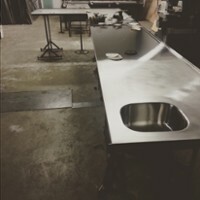 Hand Blending a Stainless Steel Counter. 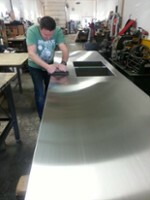 A LOT of effort goes into the polishing process. 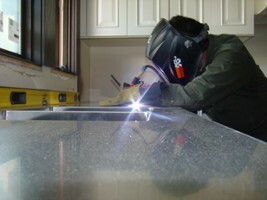 After polishing you'd never know there was a weld here. 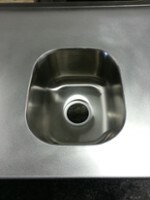 Birds eye view of an integral sink. 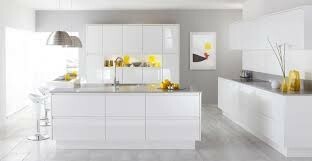 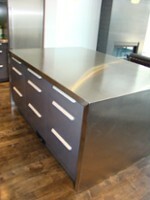 Counter and cabinets For the serious at home chef. 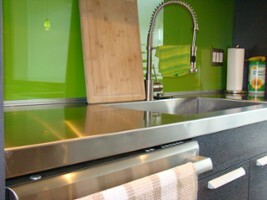 Even green goes with stainless steel. 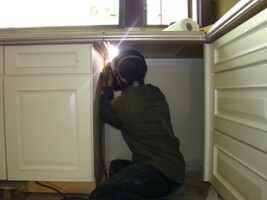 No counter job too small. 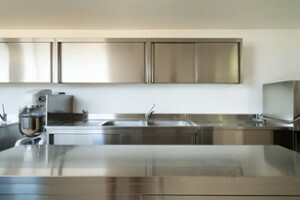 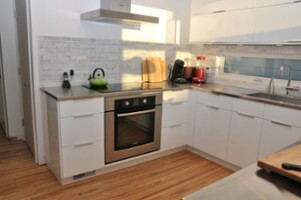 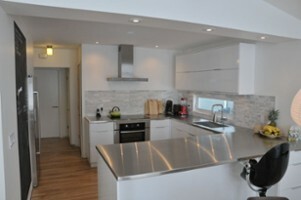 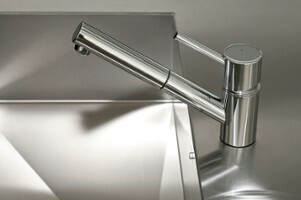 Stainless steel with minimalist design. 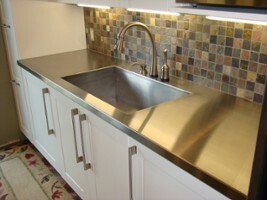 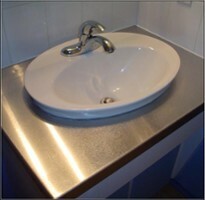 51.076699 -114.01242 Another Dimension Custom Stainless Inc. Another Dimension Custom Stainless Inc.
51.089801 -114.058741 Another Dimension Custom Stainless Inc. Another Dimension Custom Stainless Inc.
We specialize in stainless steel counter tops, but our highly skilled and creative team can build anything out of stainless steel and metal to make you home look beautiful. 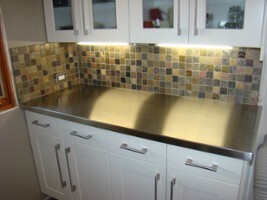 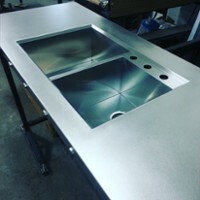 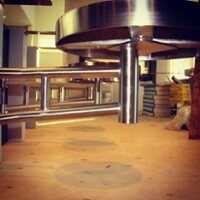 Contact Another Dimension Custom Stainless Inc.